GULF OF ADEN – Guided-missile destroyer USS Mitscher (DDG 57), assigned to Combined Maritime Forces’ Combined Task Force (CTF) 150, provided assistance to a vessel in distress, Aug. 13. 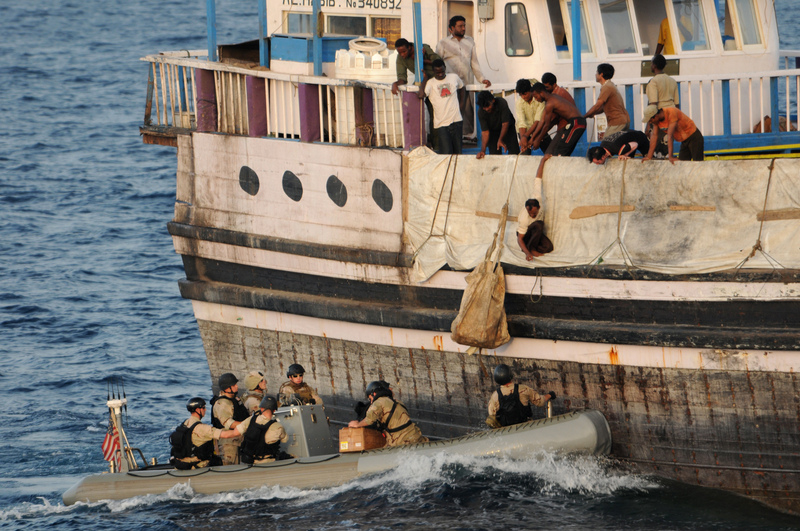 While conducting maritime security operations in the Gulf of Aden, Mitscher queried the Sri Lankan-flagged cargo vessel, Al Habib at 4:45 p.m. (local time). The Al Habib crew relayed to Mitscher that they were experiencing engineering problems and running low on water. 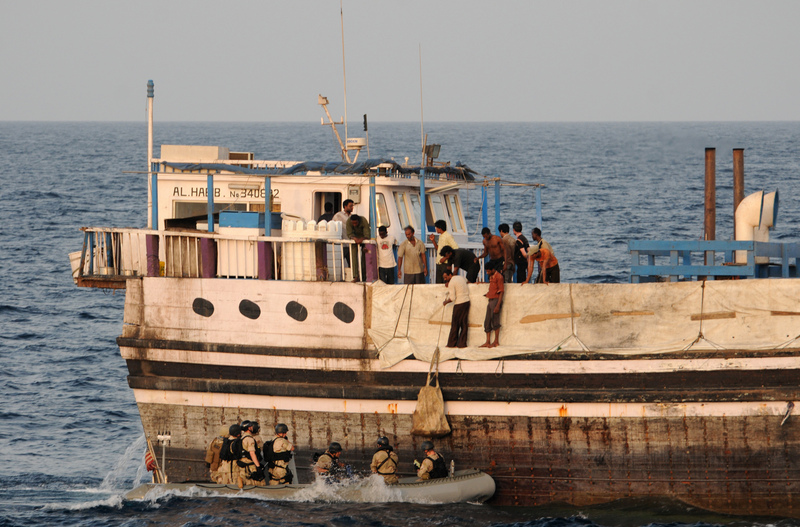 Members of Mitscher’s Visit, Board, Search and Seizure (VBSS) team, along with members of a Coast Guard advanced interdiction team embarked on Mitscher, transported supplies to Al Habib via rigid-hull inflatable boat. With the crew of the Al Habib having resolved their engineering issues without further assistance, Mitscher provided two 3-gallon containers of water, four cases of bottled water and 20 loaves of bread to the 17 crewmembers. CTF-150 is a mulit-national task force of ships that conduct counter-terrorist, anti-smuggling and general maritime security operations in the Gulf of Aden, Red Sea, Gulf of Oman and Indian Ocean. Previous Previous post: HMS MONMOUTH provides urgent medical assistance.